My sleep routine has been poor for a couple of months. When I find a new hobby (like all of this electronics stuff I’ve been tinkering with), especially around computers, I enjoy it the most at night when I’m done with everything else for the day. My addictive personality has a hard time knowing when to stop, so I’ve been getting to bed around 2am almost every night. It’s time to get back into a better routine, and I’ve been to bed my midnight two nights in a row now. Baby steps. Keep the bedroom reserved for bedroom “activities.” It helps your brain realize when it’s time to go to sleep. No TV or web surfing. If you wake up in the middle of the night, don’t look at the clock. Ever! Keep a notepad on your nightstand so you can jot down any ideas you need to get out of your head. Turn off your phone or set it to Do Not Disturb. It can wait until the morning. Don’t set an alarm. If you have to set an alarm, find a wearable device that can wake you during light sleep by your assigned time. Waking up during deep sleep causes you to be groggy and tired. What are your favorite tips or rituals? 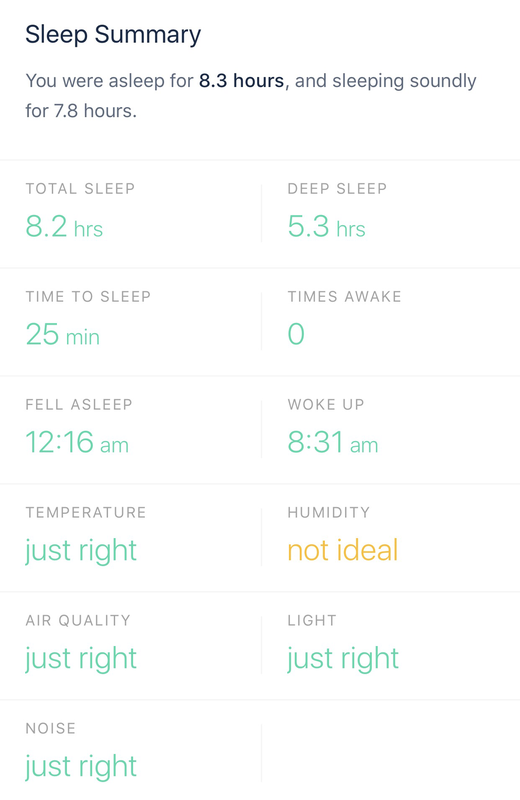 I use Sense by Hello to track my sleep. It monitors all kinds of conditions in my room. Here is the summary from last night. 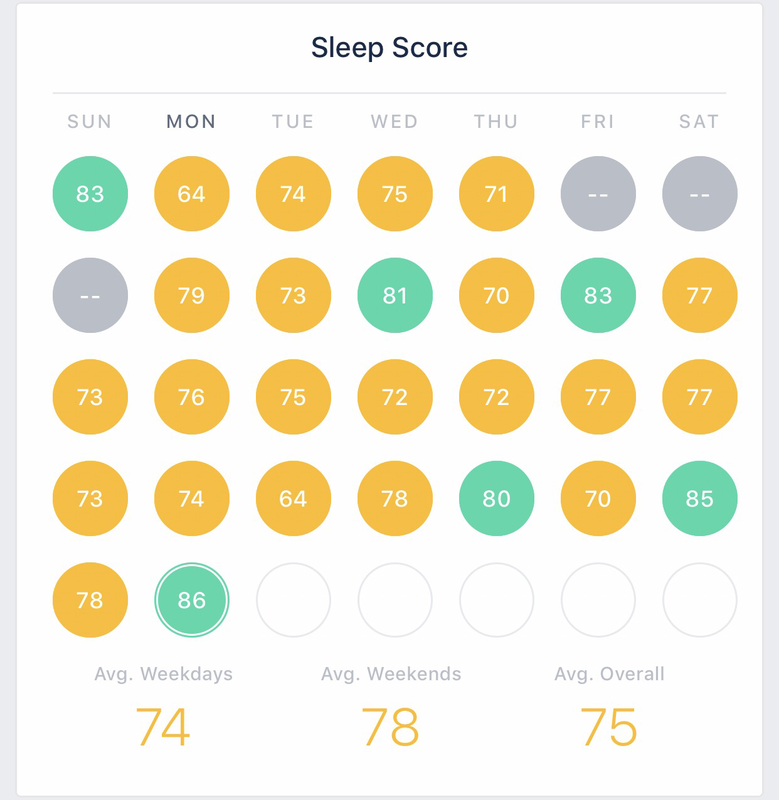 These are my sleep scores over the last month. These are scores and other data over the last quarter.